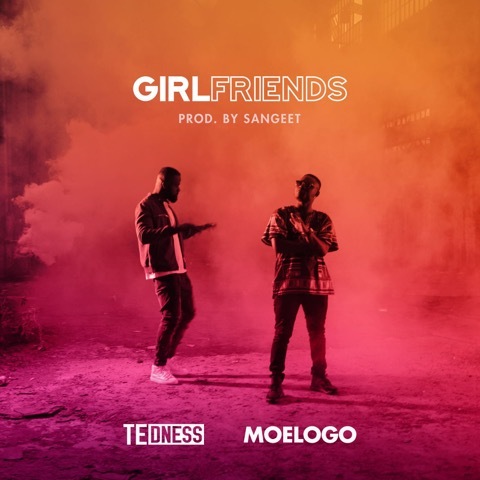 West London rapper TE releases his astounding new single Girlfriends feat. UK Afro beat artist Moelogo. Premiered on BBC Radio 1Xtra by Charlie Sloth and off the back of his outstanding performance at SBTV’s debut Cookout event and also opening up earlier in the year for Future and Section Boyz, TE dness releases his most commercial track to date. Becoming well known for his energetic performances and crowd interaction, whether rapping about reflective experiences or creating effortlessly catchy bangers, TE’s distinctive flow takes everyone on a musical journey in the most nostalgic way. Due to open up for Elhae in September at XOYO & working relentlessly in the studio TE is gearing up to follow up on this hot new track feat. Moelogo & Prod. By Sangeet.